Ga Ra and Za Ra are the ancient family names of two people who first met in 3rd dimensional temporary physical bodies in this lifetime during a group meeting of senior teachers of the Sacred Merkaba Techniques in March 2009. Then, Ga Ra and Za Ra learned about one of their past lives together at the end of a group meeting of senior teachers in October 2011. However, their 4th dimensional permanent Emotional Bodies and multi-dimensional Spiritual Energy Fields of Consciousness only met for the first time during a group meeting of senior teachers in April 2012. It was in April 2012, just two days before a large gathering of Sacred Merkaba Techniques Activators, Healers and Teachers, when Ga Ra asked Za Ra if he could test out a new and ancient technique that was going to be given for free to all participants at the gathering. Ga Ra said he would like an opportunity to repay some of Za Ra’s kindnesses in past lives by washing her feet using a new and ancient sacred water ceremony. Za Ra agreed, and in this way, Ga Ra began the sacred ceremony using an ancient power prayer. However, during the ceremony he found that energies of Unconditional Love, far Beyond Bliss, suddenly filled him, energies that were so vast and powerful that they were beyond anything he had ever experienced before in any ceremony. These Unconditional Love Energies were of such a high level that in the middle of the ceremony Ga Ra spontaneously began singing a series of ancient powerful magno-electro energized songs that have no words. These amazing songs contained only the magical, mystical, multi-dimensional sounds of Unconditional Love Energies far beyond Bliss being vocalized in the density of the 3rd dimension. Ga Ra’s songs contained such heightened dimensional levels of Unconditional Love, that these energies enabled Za Ra’s Conscious Awareness to suddenly Ascend up into the highest dimensional levels of Consciousness, and tears of ecstasy cascaded down her face. These magnificent ancient songs just kept manifesting within Ga Ra, one after another, as he gently washed Za Ra’s feet. 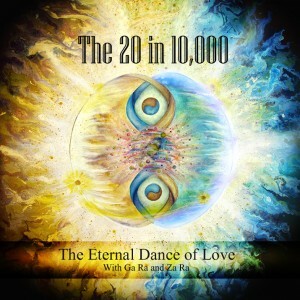 The wondrous Unconditional Love Energies of Beyond Bliss from these songs continued to float in the air, deeply affecting Ga Ra’s and Za Ra’s Spiritual Energy Fields of Consciousness. These Unconditional Love Energies of far Beyond Bliss suddenly awakened Ga Ra and Za Ra’s “blue race” memories. And so it was that as Ga Ra sang, both he and Za Ra began to have visions of their 10 incarnations together on planet earth. These far Beyond Bliss Unconditional Love Energies also enabled and empowered them to begin remembering why they came here 10,000 years ago. As he reached for a towel, Ga Ra saw that the two men who had been sound editing at the far side of his living room, when he began the ceremony, were now standing nearby with headphones dangling down from their necks and tears cascading down their faces. Both men said the songs contained the most amazing wondrous Beyond Bliss Love Energized sounds that they had every heard in their lives and that the energies of Unconditional Love had completely filled their bodies. Three months later, Ga Ra and Za Ra met with a small group of senior teachers to discuss how to create more love energies within the Sacred Merkaba Techniques. And so it was that in July 2012, Ga Ra and Za Ra made a decision to begin working together while living on two different continents and co-create today’s Sacred Merkaba Love Energy Techniques. In today’s world, Ga Ra and Za Ra not only live on two widely separated continents, they were also born 2 generations apart. As a result, they each have widely varied backgrounds and experiences in life. Ga Ra was born in Southern California during the 1930s near feeding time at MGM’s private zoo. In this way, Ga Ra was born to the sounds of growls by African lions and Indian tigers, as well as to the howling of baboons and assorted squawks emitted by a wide variety of colorful birds from around the world. Za Ra was born during the 1970s in a big African city’s hospital far from the sounds of Africa’s wildlife. She was raised in a sheltered Catholic household and attended only multi-racial Catholic schools until high school graduation. It was only when she continued her education at a university that she was completely and fully exposed to the horrors of South Africa’s apartheid rule. And so it was in her first year at the university Za Ra joined the student union of the anti-apartheid movement. In this way, Za Ra took part in numerous demonstrations while fighting for the freedom of black people where being tear gassed and shot with rubber bullets was commonplace. Za Ra was shot and injured by rubber bullets at 6 different demonstrations, as well as being beaten with batons by police and imprisoned at one demonstration. It was her work and the work by many others that ended apartheid and resulted in Nelson Mandela being elected president of South Africa. And so it was that upon graduation in the 1990s from a leading African university, Za Ra decided to dedicate her life to properly helping poor black people and she entered politics. Later when Za Ra worked for the new liberated government she was part of a team who was responsible for Nelson Mandela’s inauguration ceremony as South Africa’s first black president. One of her early assignments was also to be South Africa’s liaison to Yasser Arafat when he visited South Africa. She also brokered agreements between Germany and South Africa for the reconstruction and development of a new South Africa. Ga Ra was recruited out of an engineering college to work for America’s defense and space industry during the 1950s Cold War. He worked primarily as a Technical Engineer on the Atlas ICBM rocket propulsion systems but he also spent time working on the earliest prototype of the immense rocket engines used by today’s space launch vehicles. However, as the 1960s unfolded, Love and Peace appealed more to Ga Ra than the nuclear warhead ICBMs whose rocket engines he was working on, so Ga Ra returned to college life, older and wiser. Ga Ra wanted to travel but not with the military, so he became a CPA, or Chartered Accountant, and joined an internationally renown CPA firm. In the late 1960s. Ga Ra read E. E. Doc Smith’s Lensman series of books. Upon completing the last book, Ga Ra knew that there was far more to the human brain and the Human Mind than he had ever learned while attending one of Southern California’s wellknown universities. Within a few weeks he left his accounting position and moved from sunny heavily congested Southern California to the remoteness of snowy Idaho. However, prior to moving north, he decided to began practicing Maharishi Yogi’s Transcendental Meditation. Soon, he became a TM teacher attending classes in Spain, France and throughout North America. However, after meeting personally with Maharishi and turning down a job offer on his international staff and later seeing the irritation on Maharishi’s face when Mahesh learned that he had been lied to and the results of TM’s Levitation Techniques were seriously inflated, Ga Ra left TM. During the 1980s and early 1990s, Ga Ra worked in England, Ireland, Canada, Germany, France, Switzerland and on an island in the South Pacific. Za Ra was also working and traveling around the world in the 1990s. And so it was being intelligent, energetic as well as fluent in English, German and Italian, Za Ra was on a fast track politically and worked in her country’s diplomatic corps. However, when Za Ra learned that her mother had cancer, she went on a leave of absence in order to care for her mother. She watched her mother suffer greatly and slowly die of cancer. In this way, when her mother died, Za Ra decided to leave her political career and began a successful search throughout the world for a natural cure for cancer. 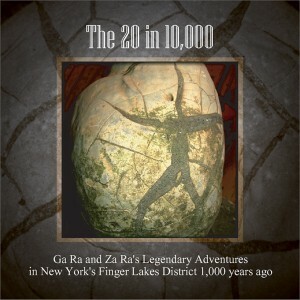 Za Ra studied in the jungles and on mountain tops with South American shamans. She found they had some wisdom but it was obvious that they had forgotten most of the wisdom that they had a thousand years ago. And so it was that Za Ra returned to Africa and began studying different ways to improve the health of people’s physical bodies in today’s world. In this way, Za Ra was exposed to a wide variety of natural healing methods. It was in May 1995 that Ga Ra rented some videos that unfortunately taught him some very misleading information about how to activate a Merkaba. Fortunately, he remembered from a past life how to activate one’s lowest level Merkaba and this one activation done daily enabled and empowered him 7 months later, in December 1995, to enter the enhanced spiritual energy level of visions over a 3 day Christmas holiday. And so it was that for 72 hours, visions of past life events flew by, lasting in Ga Ra’s 3rd dimensional brain’s Conscious Awareness only for a few seconds. But, this short time was enough for all the information and wisdom to be fully recorded within his 4th dimensional Emotional Body’s Mind. Then, 6 months later, in May 1996, he was able to attend a special class on a few of the ancient concepts about advanced forms of Merkabas. The information that Ga Ra recorded within his 4D Mind, during his 3 days of constant visions, enabled him to reach greater heights of Conscious Awareness with his modified advanced Merkaba activations than his teacher. His teacher was not greed or ego oriented, thus he encouraged Ga Ra to go forth and teach others his modified advanced Merkabas, which Ga Ra called “Sacred Merkaba Techniques”. In July 1997, for 3 days in a row, Ga Ra received the same vision for an hour every day. This recurring vision requested him to drop everything in his life in order to travel and teach others, his new Sacred Merkaba Techniques that he had personally created and began teaching to others in March 1997. In response to these 3 days of visions, it was in September 1997, when Ga Ra, Chief Financial Officer of an American corporation, took an unprecedented and unpaid 3 month leave of absence in order to travel and teach his Sacred Merkaba Techniques. On the other side of the world, in 2000, Za Ra saw a poster for the Sacred Merkaba Techniques and received such an immense flow of Unconditional Love Energies into her body upon seeing the words that she had to sit down on the floor. And so it was that Za Ra became a Sacred Merkaba Techniques Teacher in 2002. Unfortunately, in 2001 Ga Ra quit teaching teachers in person and began living in seclusion for the next 9 years in order to completely resurrect all of the ancient wisdom and techniques regarding Merkaba activations. In 2005 Za Ra began working with destitute children using Love Energy Techniques. And so it was that many years passed before, finally Ga Ra and Za Ra met in April, 2012 on all dimensional levels and they begin their Eternal Dance once again. Fortunately, their dance and the merger of their Sacred Merkaba and Love Energy Techniques did begin and has now resulted in today’s Sacred Merkaba Love Energy Techniques. 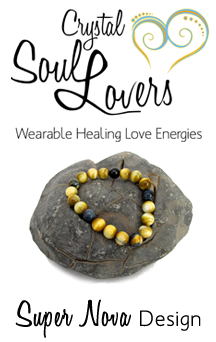 Our unique Crystal Soul Lover, after several ancient ceremonies, enables and empowers one to wear the wondrous healing energies of Unconditional Love in the form of a bracelet on one’s arm, or mantra beads. Our Free 3rd Eye test enables you to determine if you have energetic blockages from emotionally charged memories of unpleasant past events that are hindering your abilities to expand your ESP and enjoy life. Beeswax has been part of Love Energy Ceremonies for thousands of years. However, the ancient wisdom about the natural Love Energies contained in beeswax has been lost for hundreds of years.